Usually stir fries revolves around the following common sauces like soy sauce, fish sauce, oyster sauce, sesame oil, chilli and black bean but have you tried using salted duck egg yolks? Yes you’ve seen it correctly salted duck egg yolks, it’s nothing new in fact this is used in Asian and South East Asian cuisine. Usually used in prawns, crabs and squid but it can also be used in vegetables like this dish that we are posting today. 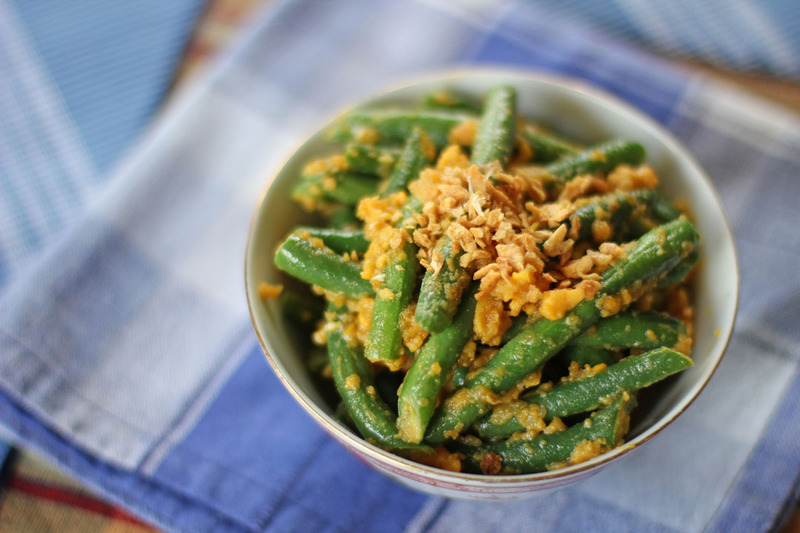 French Bean with Salted Egg Yolk is a Chinese dish where stir fried French Bean are cooked together with mashed boiled salted egg yolks, giving it a unique silky salty flavour. A nice vegetable side dish you can pair with other stir fried meats, it’s easy to make and very nutritious. If you bought raw salted duck eggs boil it first until cooked. Once cooked separate the yolks from the whites, set aside the yolks and keep the whites (I used them with salads). Mash the yolks. In a wok add oil then add the garlic and French beans, stir fry until cooked. Add the egg yolks then toss to mix well, season with salt then serve. Oh, this sounds very flavorful. Great idea! Always love salted duck eggs. I have never tried to stir fried vegetable with salted duck eggs, but will give a try soon. Thank you for posting! I love this!!! I don’t know if I could find salted duck eggs, but I’m going to start calling around. 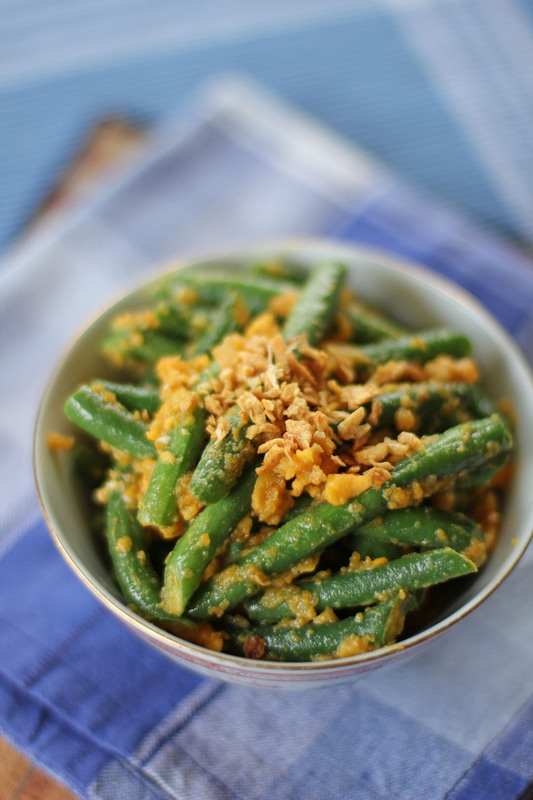 I love tosses veggies and salad with egg yolk so this dish is right up my ally. Thanks Raymund! I love salted duck egg, especially the yolk! This looks so interesting and delicious, thanks for sharing the recipe! I love duck eggs! The flavor is so much more rich and robust than chicken eggs. This recipe looks delicious! Is it the same as the red duck egg?